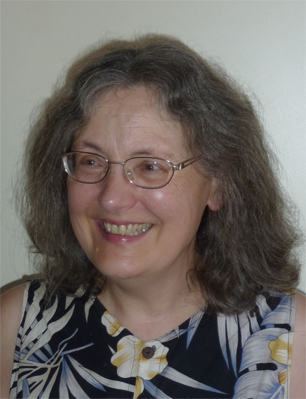 Highly trained, creative and resourceful piano teacher with many years of experience in teaching a wide range of students, from children to adults and from beginners to advanced. 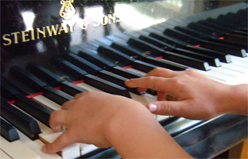 Here you will find information about the piano lessons I give in my studio in Selby, near Belgrave in the Dandenongs. Both children and adults are very welcome. My aim is to pass on my passion for music to both children and other adults. Although I am a classical musician myself, I believe it is important to present children with as wide a range of styles of music as possible. My overall approach to teaching piano is to teach students skills rather than just pieces. Ultimately my goal for my students is to be able to approach any piece of music independently, using the skills they have learnt. One element of this is to be able to play by ear; students practise this from the beginning. Another element is to be able to read music well, which is why I stress sight reading. Because I believe learning to play a musical instrument is important to personal development, I tailor tuition to individual students. Targets for students are important: these can be external targets such as concerts, exams (AMEB), competitions etc. or more individual goals such as certain pieces, certain skills, number of pieces mastered etc.